What did you enjoy most about your industrial placement? I worked for Atkins for two months last summer, and I was impressed by the amount of responsibility I was given. My colleagues treated me like a contemporary despite the fact I’d only just completely my first year, and were welcoming and happy to explain anything I didn’t understand. It’s a young, friendly working environment and I had such a good time that I came back for a year placement with Atkins. I enjoy being given real projects to work on, and feeling like I’m making a useful contribution. What advice would you give to a student looking for a placement? I think doing placements is a useful way of figuring out what you would (and wouldn’t!) want to do after university. In a consultancy particularly, you have the chance to see something of lots of different types of projects, and it’s a useful way to gain experience. It’s worth really thinking about areas you’re interested in, areas you’d like to find out more about, and any areas you wouldn’t want to work in. Do research, talk to people and ensure that you’re enthusiastic and knowledgeable about the area you’re applying to. During National Apprenticeship Week, The 5% Club member Dale Power Solutions held a job swap involving the company’s senior staff and apprentices. Andrew Marr, Dale Power Solutions’ Finance Director, joined apprentices on a cold Scarborough morning to take part in a community renovating project. Swapping his calculator for a shovel, Andrew worked alongside Dale’s Brathay Challenge Apprentice team and tried his hand at gardening . Watch his interview with leading apprentice Natasha Pitts below, and head over to Dale Power Solutions’ website to learn more about their efforts during National Apprenticeship Week. The 5% Club is made up of a vast array of members, all sharing the same goal of ensuring that 5% of their workforce are apprentices, graduates or sponsored students on structured programmes within the next five years. We’ve introduced to you a large number of leading apprentices and graduates from our members over the previous year, many of whom work for SMEs. The government have made it their aim to make apprenticeships more accessible to SMEs and to improve uptake in the coming years. Our case study focus this week is on engineering firm Dale Power Solutions. Read on to find out more about their apprenticeship scheme and why they joined The 5% Club. Why did you join The 5% Club? The answer is that we are passionate about apprenticeships, bringing young people into the world of engineering, training and educating them so they go onto to become and shape the Dale Power Solutions of the future. The 5% Club demonstrates our commitment to apprenticeships which in turn provides confidence to our local community that joining Dale as an apprentice means you can have an exciting and stimulating career for years to come. As a 5% Club member we can help attract other companies to join in and see how beneficial apprentices can be to an organisation. What is your view on apprenticeships? The power of apprenticeships, where could yours take you? With Dale Power Solutions it could literally be anywhere. We are a nationally recognised award winning top 100 UK apprenticeship employer, producing award winning apprentices. We are one of the largest apprenticeship employers in the Scarborough area, currently employing just under 250 employees, of which 25% began their career as an apprentice. We are creating new jobs in the region, at least 30 in the last 12 months and with growth plans in place to double our service business and increase manufacturing there are plenty more jobs we will have on offer. Apprenticeships very much go hand-in-hand with this growth strategy. We must therefore do all we can to promote engineering and apprenticeship and the 5% Club helps with this but we recognise that we must continue working closely with our local community. With this in mind Dale is supporting the Yorkshire Coast Employability Charter, bringing schools and businesses together to provide opportunities for young people to gain an insight into work, the jobs available, and developing the skills and other qualities to increase their employability. We are committed to making a sustainable positive impact on the communities in which we operate. What are your future plans for apprenticeships? We normally recruit about 3 apprentices a year but in 2013 we took in 5 Advanced Apprentices, 1 Higher Apprentice and 4 graduates. 2014 will see apprentice recruitment continue in a similar manner and for years to come. We participate in various careers events with students and teachers, including holding work experience placements, careers and apprenticeship presentations, education events and company tours to promote links between schools and industry. Dale has also sponsored and supported Scarborough Engineering Week since it was established 4 years ago and will do so again in October this year to promote engineering locally. The 5% Club member Vision Express has marked National Apprenticeship Week by announcing the arrival of 15 school and college leavers onto their apprenticeship programme. The group have embarked on a 13 month employer-embedded programme where they will work towards a Level 2, Intermediate Apprenticeship in Health- the equivalent to 5 GCSEs. Meanwhile, as the latest recruits get settled in, the high street opticians are on the lookout for a further 20 apprentices, having opened applications to their Spring apprenticeship intake. In October, Vision Express became the first high street retailer to join The 5% Club, having pledged to meet the 5% employment target as specified in the Club’s Charter. As part of our National Apprenticeship Week drive, we take a look at QinetiQ apprentice Mike Dodd. Mike is part of the QinetiQ team taking part in the 2014 Brathay Challenge. Supported by the National Apprenticeship Service, the Brathay Challenge aims to find the apprentice team of the year by putting them through a series of challenges aimed at testing team building, leadership, logistical and communications abilities. Mike is a second year team building, leadership, logistical and communications abilities. Read more about his day to day role at QinetiW, and his experiences in the Brathay Challenge below. 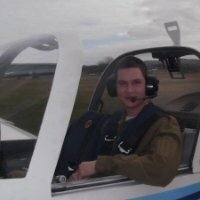 Before embarking on an apprenticeship at QinetiQ, I had applied to two different aeronautical courses at university, as well as this apprenticeship. I was struggling to decide which of the courses to study, and after a discussion with a lecturer at the University of Hertfordshire, I decided to pursue the apprenticeship instead. The main thing that attracted me was the hands-on experience I would gain whilst earning my way at the same time. I was aware of QinetiQ and the Boscombe Down training school before I applied to join their apprenticeship programme. I was accepted onto their mechanical aeronautical apprenticeship course, and currently I am in my second year. The first two years of the apprenticeship are spent in the Hangar. A typical day revolves around theory and practical learning. A day lasts from 8am to 4:30pm and the morning is usually spent in the classroom, learning the theory side of mechanical engineering. In the afternoon, we’ll head out to the hangar for practical lessons, where we’ll usually work on decommissioned aircraft. It offers a great environment to learn and develop skills. The highlight of my time so far as a QinetiQ apprentice has to be watching ground runs of an RAF Tornado jet. A ground run is a series of safety checks performed on an aircraft, including thrusting the engines. I was fortunate enough to experience the incredible sound a Tornado generates first hand, and the experience was awesome and unforgettable. I get a real kick out of working and being around aircraft, so it was an incredibly exciting experience. Although of course, not everyday is like that! One of the aspects of an apprenticeship that a degree just cannot match is the unparalleled experience that is on offer. Depending on your degree, there are a multitude of reasons to go down the university route, but by pursuing an apprenticeship, I am gaining valuable working hours very early on in my career. In that respect, I am gaining an advantage over a graduate. I have two and a half years left of my apprenticeship at QinetiQ, and I am already looking forward to continuing my work beyond the training My advice to any school leavers looking to pursue an apprenticeship is to just go for it! There is an impression that apprenticeships aren’t as ‘academic’ as university but I do not believe that at all. What I would say is that the skills you learn at A-Level are vital, whether you go to university or enrol on an apprenticeship, so work equally as hard regardless of your future plans. Part of my QinetiQ apprenticeship involves taking part in the Brathay Apprentice Challenge, a nationwide competition supported by the National Apprenticeship Service and organised by the Brathay Trust. The aim is to demonstrate the quality of apprenticeships, whilst there is a competitive edge to do as well for your company as possible. Last week, I took part in the Apprenticeship Slam, the latest event in the competition. I will be spoke in front of senior secondary school pupils about my training and background, and was up against challengers from the likes of Babcock and JP Morgan. The general outline of my talk was to explain why QinetiQ’s apprenticeship programme is the best in the world. Of course in my view, it is! Next week is National Apprenticeship Week. Organised by the National Apprenticeship Service, the week is designed to celebrate apprenticeships and the impact they have had on individuals, businesses and the UK economy. Now in its seventh year the theme for National Apprenticeship Week is Great Apprentices. The growing fear of a UK skills shortage has pushed the issue of apprenticeships to the forefront of debate over the past year and The 5% Club has led the charge, urging public and private companies to Invest in a Generation. Looking ahead to the beginning of National Apprenticeship Week, we want to share with you some of the standout apprentices from our 20 members, including apprentices who have gained national recognition for their efforts over the past year. Natasha’s efforts since joining Dale Power Solutions in 2010 was recognised at the National Apprenticeship Awards in November, having been handed the Highly Commended Award for ‘exceptional work as a Higher Apprentice’. Natasha is currently on an electrical and electrical engineering apprenticeship at Dale Power Solutions and has been described as a role model and a star of the future. In October of last year, MBDA apprentice Samantha Ball took to the stage at the Conservative party conference to promote apprenticeships as a viable alternative to full-time education. Samantha, a logistics apprentice, is currently in her final year of a four year MBDA apprenticeship and has worked across various departments of the company on rotating placements. 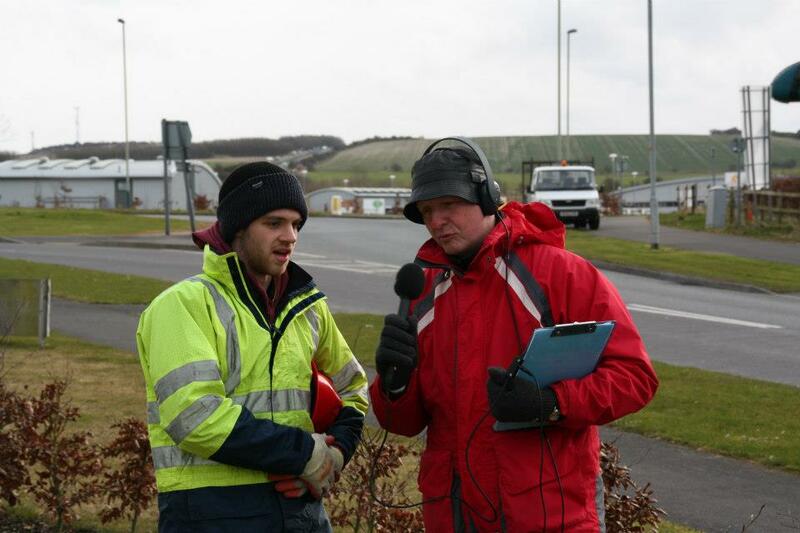 Tom is a third year aeronautical apprentice at QinetiQ’s Boscombe Down training school. He is an avid supporter of apprenticeships and has offered his support to The 5% Club’s aims and achievements. The 5% Case Studies offers you an insight into the daily life’s of the apprentices and graduates of the Club’s 19 members. 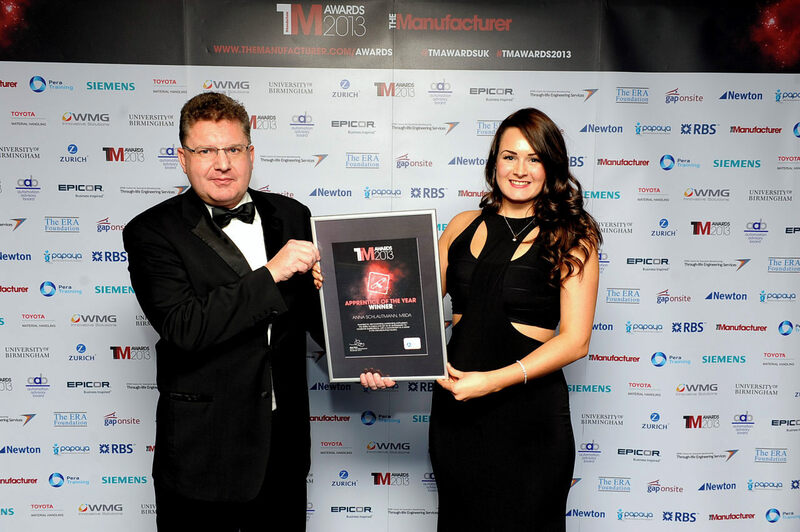 This week, our focus is on award winning MBDA apprentice Anna Schlautmann. 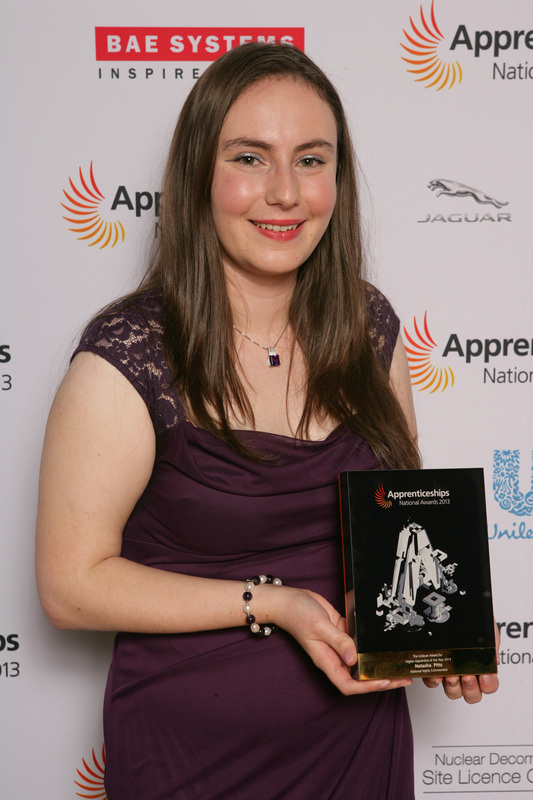 Anna was named Apprentice of the Year at the 2013 Manufacturer Awards in December. 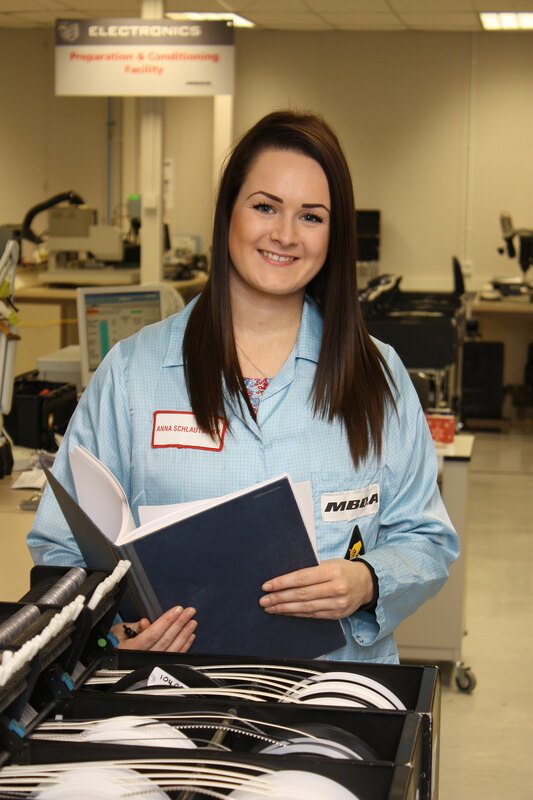 Read more about Anna’s experiences as a third year Logistics Apprentice at MBDA. 1. What persuaded you to pursue an apprenticeship at MBDA? I knew that doing an apprenticeship would benefit me more than going to University alone. This is due to the full-time work experience that can be gained, alongside studying the theory at degree level and an NVQ 4. The balance requires hard work and diligence at both. 2. What is your current role? I am currently a third year Logistics Apprentice working in a placement that involves maintaining the resource pool in manufacturing and analysing the manufacturing workload. This has a vast impact on the business because it helps the business to understand where it needs to maintain skills and knowledge as well as where to meet the project requirements. I have also worked in Project Management on a multi-national missile contract. I was responsible for raising potential risks and opportunities to the project. 3. Describe your daily role at MBDA and the variety of programmes/tasks your involved with. At MBDA I rotate within placements, for example Supply Chain, Project Management and Logistics. I regularly go into schools and colleges to promote apprenticeships, and specifically women in manufacturing. So far in my apprenticeship, I have visited and presented to 15 schools and colleges, promoting engineering and apprenticeships. This is not solely to inspire young individuals; it is also to influence teachers and parents to know that apprenticeships are a positive route to take. As teachers and parents are the main influencers of children these days, I ensure that I create a positive image of apprenticeships among that community as well as the young generation, as in my opinion an apprenticeship is the best route. I am determined to be a role model for apprenticeships; I have therefore chosen to become a STEM ambassador as I would like to inspire young people. I also co-ordinate the charity challenge team, it is a pleasure to make a difference and host events for charities. 4. What has been the highlight of your apprenticeship so far? I have had many highlights in my apprenticeship, for example meeting several MPs, touring the house of commons, competing in the national Brathay Apprentice Challenge, promoting manufacturing apprenticeships to girls and making a difference in the workplace. However my biggest highlight was winning the Manufacturer’s National Manufacturer Apprentice of the Year in December 2013. 5. Does an apprenticeship offer benefits that other career routes cannot match? I believe that if you compare an apprenticeship to going to university alone, university cannot live up to an apprenticeship. If I was at university I would need work experience to be employable. An apprenticeship offers constant work experience alongside your qualifications, this enables apprentices to understand the business environment and more than any individual studying theory alone. 6. 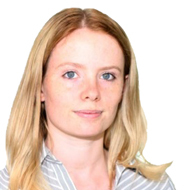 How would you persuade more females to pursue a career in engineering? I promote apprenticeships at careers events in which two of the new females apprentices who joined this year are a result of me speaking to them at these careers events. I think it is vital for students to see the female apprentices promoting apprenticeships themselves. Females are not often promoted within applying for engineering, which means they may be discouraged to do so. 50% of apprentices at MBDA are female, so you can ensure that there is no problem with females working in a manufacturing environment. 7. What are your aims for the duration of your apprenticeship? I aim to achieve a first class honours in my Business Management BA (Hons) degree and I aim to achieve excellent reviews and feedback for all my placements. I also wish to make a real difference and large contribution to the business. I constantly ask for more opportunities to learn which is my main aim, as I recognise that I am the future of the business and need to ensure I am in shape for this. At MBDA we have experienced workforce and many of our systems have a 30 lifecycle so there this is extreme challenge in terms of demographics. I need to ensure I contribute to this meaningfully and ensure that logistics and business knowledge from the skilled retiring workforce is transferred to myself to ensure vital skills are not lost. 8. What advice would you offer young people seeking an apprenticeship? If anyone is considering doing an apprenticeship, I would definitely recommend it. Gaining work experience is a fantastic opportunity that not many young people are able to experience. Enter your email address to follow The 5% Club and receive notifications of new posts by email.